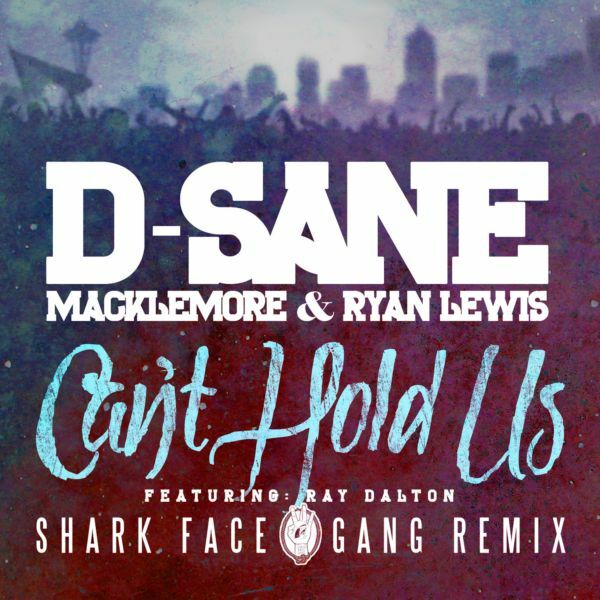 Street Level Records founder and in-house producer, D-Sane, has teamed up with Seattle Hip-Hop mega duo Macklemore & Ryan Lewis to remix their multi-platinum hit single “Can’t Hold Us feat. Ray Dalton” from their record breaking album The Heist. D-Sane takes the energy of the original track one step further by combining it with cinematic war drums and an all new bridge that propels it to a new level reminiscent of a college fight song. The “Shark Face Gang Remix” features a dramatic, Jaws inspired violin solo by renowned violinist and Seattle Rock Orchestra member, Sada James Doup, who also played on Macklemore & Ryan Lewis’ song “Neon Cathedral feat. Allen Stone.” Check out this shark themed dedication to Macklemore & Ryan Lewis’ amazing fans… the Shark Face Gang!